coDiagnostiX® offers a new groundbreaking guided surgery workflow which integrates both drill guide and prosthesis design and fabrication. 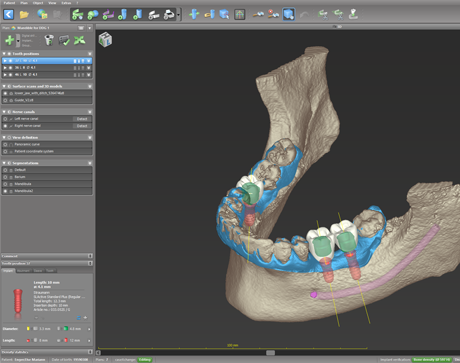 Comprehensive visualization and real prosthetic-driven implant planning enables users to achieve predictable results in advanced surgical applications. 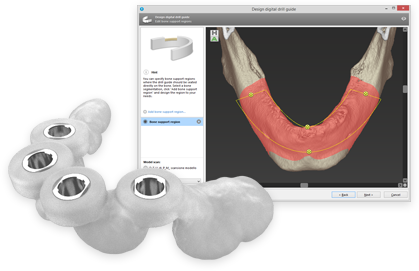 Direct import of prosthetic designs from DWOS CAD software into coDiagnostiX® allows for the integration of preoperative and prosthetic situations and marks a new era in prosthetic-driven implant planning. 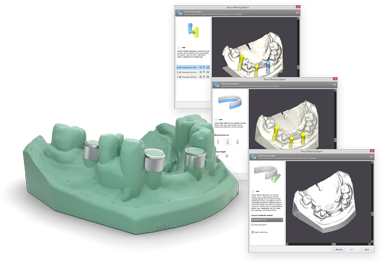 The export of preoperative planning data from coDiagnostiX® into DWOS CAD allows for the design and fabrication of preoperative provisional restorations. With timely and easy access to immediate provisional restorations clinicians can significantly improve the quality of life for patients and help to foster patient satisfaction during treatment. coDiagnostiX® is the first software on the market to support digital drill guide design and fabrication directly through the local laboratory. Get in five design steps to an accurate drill guide. The new time and cost saving digital workflow does not require a scan template for digital drill guide fabrication. The 3D volume data from a (CB)CT scanner is combined with a surface scan. Such surface scans can be made for example with intra oral scanners (e.g. 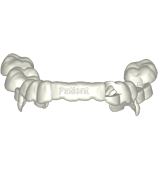 Virtuo Vivo™ by Dental Wings) or model/impression scanners (e.g. iSeries, 3Series or 7Series by Dental Wings). coDiagnostiX® allows to create bone-supported drill guides. 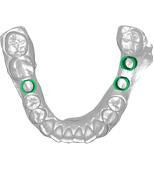 It is also possible to design drill guides with a combination of teeth and bone support. By supporting the DICOM standard, coDiagnostiX® is compatible with a high variety of (CB)CT scanners. The application is able to import data from harddrive, removable media and network storage. With caseXchange™, the radiologist can also send the data directly via internet . coDiagnostiX® license is required by the radiologist. DWOS Synergy opens up a completely seamless and time-saving workflow between coDiagnostiX® and DWOS. Transfer your coDiagnosiX™ implant planning to DWOS and get back the restoration planning in real time. Collaborate in your local network with just one click - or over the Internet with a free DWOS Synergy account. caseXchange™ is an interactive communication platform allowing seamless communication between specialists, referring dentists, laboratories, service providers and patients. It offers online case sharing with other coDiagnostiX® users and is ideal to get a second opinion from a colleague. With caseXchange™ treatment planning becomes a truly collaborative process and ensures that all parties expectations are met. The coDiagnostiX® iPad® App allows convenient and stylish presentation of coDiagnostiX® planning data using the Apple iPad® and is ideal for the communication with patients, referring dentists or other colleagues. By supporting red-cyan glasses and 3D displays, coDiagnostiX® can enhance your patient presentation. 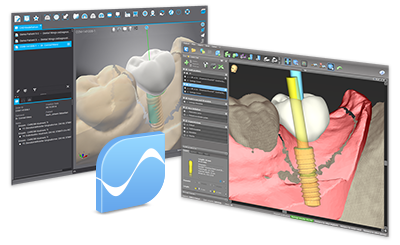 coDiagnostiX® EASY mode allows simplified implant planning with intuitive step-by-step user guidance for simple cases and less experienced users. coDiagnostiX® STANDARD mode offers detailed functions with sophisticated options for complete customization. coDiagnostiX® is an open system with a library containing more than 3000 implants, abutments and sleeve systems from all the major implant manufacturers. Additionally, the user can work with generic sleeve systems or import his own user-specific implants into the library to meet special requirements. coDiagnostiX® simplifies documenting the planning process by providing posibillities to add images, such as photos or 2D X-ray scans, or textual information to describe several aspects of your planning. Printouts are available for the treatment to support a smooth treatment procedure. 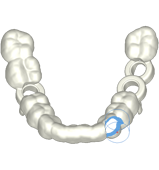 The 3D volume data from a (CB)CT scanner can be combined with a surface scan to get precise information about the gingiva. 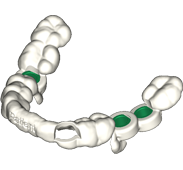 coDiagnostiX® supports the planning process by showing warnings if implants are too close to the mandible nerve canals or to other planned implants. Stay always up to date. New features and improvements to existing functionalities are added on a regular base and come to you at no additional cost.